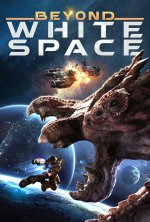 Beyond White Space release date was Friday, December 14, 2018. This was a Limited in theaters release. When a deep space fishing vessel is robbed by a gang of pirates, the Captain (Holt McCallany) makes a daring decision to go after a rare and nearly extinct species. On the hunt, his obsession propels them further into space and danger as the crew spins into a downward spiral of mutiny and betrayal.